What comes next under water-quality standards imposed by the EPA? The Environmental Protection Agency approved new water-quality standards for Washington state this week, overriding a plan approved by Gov. Jay Inslee and the state Department of Ecology. It was a rare posture for the EPA. Now the state will be pressured to appeal the EPA standards to federal court. Cities and counties as well as some industrial organizations are clearly unhappy with the EPA’s action, while environmental and tribal representatives got most of what they wanted. 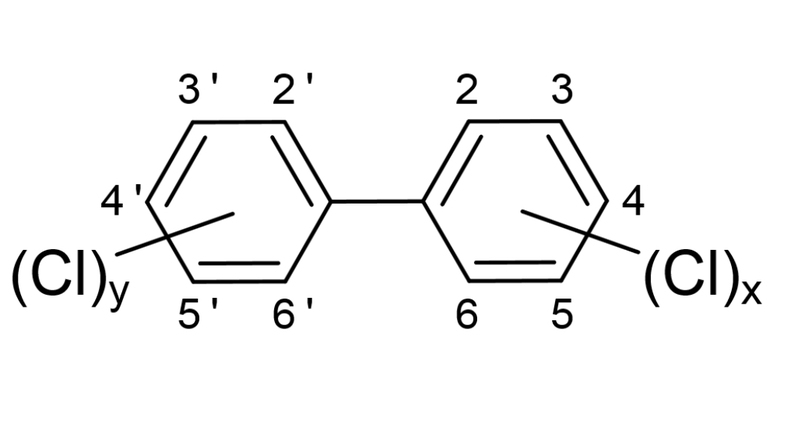 The basic structure of polychlorinated biphenyls, where the number and location of chlorine atoms can vary. The EPA action is especially unusual, given that this state is known for some of the strongest environmental regulations in the country. After much dispute, Ecology finally agreed to much higher fish-consumption rates without increasing the cancer-risk rate, leading to more stringent standards for many of the chemicals. But Ecology had its own ideas for the most troublesome compounds with implications for human health. They include polychlorinated biphenyls (PCBs), arsenic and mercury. For background, see Water Ways, Oct. 18, 2015. Some news reports I saw this week said EPA’s action will lead to salmon that are safer to eat. But that’s not at all certain, and opponents say it is unlikely that the revised limits on chemical pollution will have any practical effect on compounds that affect human health. A record number of sewage-treatment plants in Washington state fully complied with state water-quality requirements in 2014, with 128 plants winning the coveted Outstanding Performance Award from the Department of Ecology. The number of sewage-treatment plants recognized for meeting all water-quality requirements grew from 14 in 1995 to 128 last year. 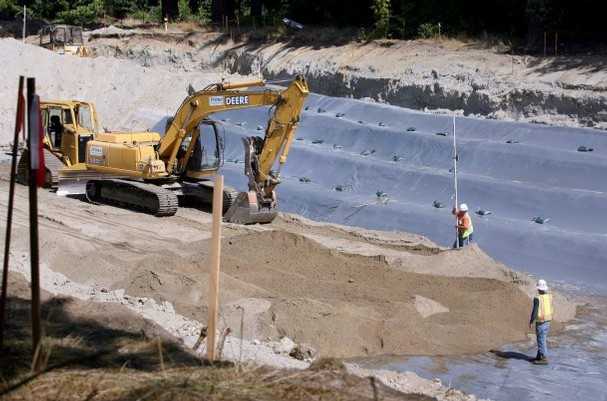 The awards program has reached its 20th year, and the Manchester Wastewater Treatment Plant in South Kitsap remains ahead of the pack. It’s the only plant with a perfect score every year since the program began. In the first year of Ecology’s awards program, only 14 plants across the state were recognized as doing everything right, but that number has grown nearly every year. 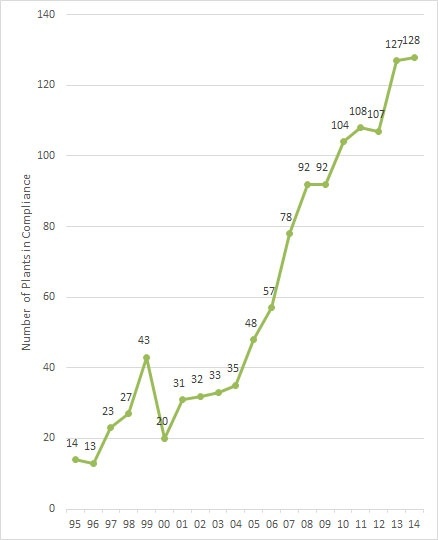 Last year, 128 winning treatment plants — more than a third of all the plants in the state — passed every environmental test, analyzed every required sample, turned in all reports and allowed no permit violations. Kitsap County officials are rightly proud of the perfect record. Five years ago, in an article in Treatment Plant Operator magazine, lead operator Don Johnson said the success of the Manchester plant could be credited to the dedicated wastewater staff and support from all levels of county government. Don, who retired last year, has been replaced by Ken Young. The magazine article may tell you more than you want to know about the design and operation of the Manchester plant. The plant was a modern facility when Ecology’s awards program was launched 20 years ago, and it has been kept up to date through the years. Johnson stressed that treatment-plant operators should always be prepared for new developments. Reaching the 20-year mark deserves some kind of celebration for the Manchester plant. I would suggest organized tours of the facility, public recognition for all the plant workers through the years and maybe a slice of cake. So far, I’m told, no specific plans have been made. A list of all the treatment plants in the state showing a history of their perfect scores (PDF 464 kb) can be downloaded from Ecology’s website. Port Townsend’s treatment plant has had a perfect score for 19 of the 20 years, missing only 1997. Meeting the perfect standard for 16 of the past 20 years are two plants owned by the city of Vancouver — Marine Park and Westside. With a key deadline approaching next week, Gov. Jay Inslee decided today that he will not move forward on new water-quality standards at this time. The governor had hoped that the Legislature would approve his plan to track down and eliminate sources of nonpoint pollution, the kind that often gets into our waterways via stormwater. 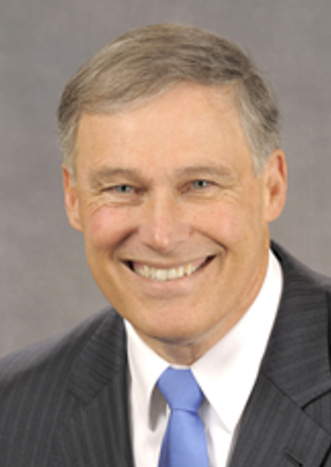 The Democratic-controlled House approved a revised proposal for chemical action plans (HB 1472), which Inslee said he could support. But, in the end, the Republican-controlled Senate failed to act on the bill. Environmental advocates and tribal officials have called for stronger water-quality standards. Such standards, if approved, could require industrial facilities and sewage-treatment plants to extensively upgrade their systems to remove more pollutants from their effluent. Inslee and his supporters have argued that many of the pollutants of greatest concern don’t come from industrial and municipal discharges. Rather they come from “the small-but-steady release of chemicals in everyday products – brakes on vehicles, flame retardants in furniture, softeners in plastics, and metals in roofing materials,” according to the news release. Water-quality standards actually apply to streams and bodies of water. Comparing results from water samples with numerical standards tells us whether the waters are polluted or clean enough to protect public health. The numerical standards become a starting point for permitting any discharge through pipes, although stormwater pipes are generally not regulated. I have followed this story now for quite some time. The latest related post two weeks ago in Water Ways covers the overall issue and includes links to previous stories. Meanwhile, the Environmental Protection Agency is developing new standards for Washington state. If the state fails to act or fails to protect public health, as determined by the EPA, then the federal agency could impose its standards on the state. Proposed EPA standards, like state standards, must undergo a rigorous review, including public comments and probably public hearings. Washington Department of Ecology, which enforces the Clean Water Act for Washington state, was planning to approve the new standards by next Thursday. But under Inslee’s latest order that will not happen. If the rule is revised, it must undergo a new public review process. More than 1,600 comments were received on the proposed standards, which are not likely to be approved in their current form. Most of the comments related to the higher cancer risk level chosen by Ecology and the governor. Cancer risk is one factor in calculating the water-quality standards, along with a fish-consumption rate, chemical-toxicity factor and others. Actors and comedians are talking about water in a new video campaign to raise awareness about the value of clean water and the importance of keeping pollution out of waterways. Waterkeeper Alliance brought together celebrities to share their feelings and memories about water uses. They include Neil Patrick Harris, Susan Sarandon, Bobby Moynihan, Taran Killam, Ray Romano and Brad Garrett. Locally, Puget Soundkeeper Alliance is affiliated with the national Waterkeeper Alliance. Puget Soundkeeper Chris Wilke, based in Seattle, is featured in an earlier video that explains the goals of Waterkeeper Alliance and the actions of the various affiliates across the United States and throughout the world. The new campaign, called “Keep it Clean” is directed by Rachael Harris and produced by Kids at Play. Kitsap Rifle and Revolver Club has decided against undertaking a formal environmental cleanup of its property on Seabeck Highway — at least not any time soon, according to club officials. The property is listed as a “hazardous site” by the Washington Department of Ecology, mostly because of lead and metals associated with shooting activities. The club had entered into the state’s Voluntary Cleanup Program — which puts a property owner in charge of the cleanup — but then withdrew from the program in late October. Marcus Carter, executive officer for KRRC, told me that the club had been assured by state officials that if it entered the Volunteer Cleanup Program, it would not be placed on the state’s Hazardous Sites List. “But they went ahead and ranked us anyway,” he said. As an example of wasteful spending, Danielson cited a charge for a “fraudulent” phone call from the state Attorney General’s Office related to the site. The unwarranted billing was dropped, he noted, but only after significant effort by club officials. Marcus Carter said he realizes that the shooting range could get stuck on the “Hazardous Sites List” for many years, similar to the situation with the Navy’s Camp Wesley Harris. The abandoned shooting range on Navy property also was ranked a “2.” Other than an initial cleanup, the Navy has taken no steps to get the property removed from the list. For a full list of hazardous sites, download the latest Hazardous Sites List (PDF 535 kb). Marcus said the club initiated an extensive recycling program years ago to regularly remove lead and other contaminants from earthen berms that stop the bullets. The only contamination outside the range itself are small amounts of materials where shooting took place years ago, he said. Ecology officials admit that they don’t have enough money to force property owners to clean up the most-contaminated sites, let alone those lower on list. 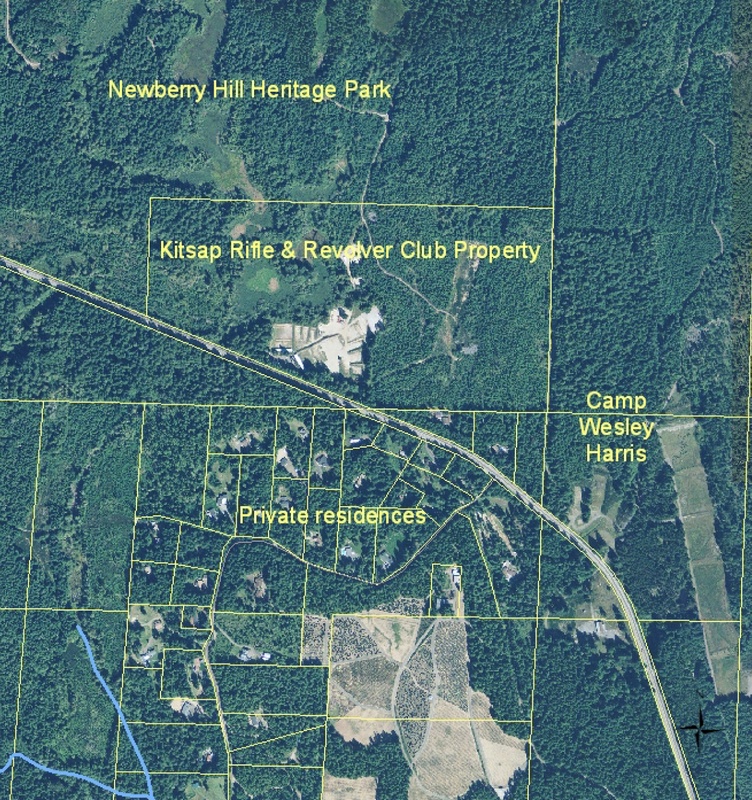 For several years, the group CK Safe and Quiet, which includes residents living near the shooting range, has been urging Ecology to get the site cleaned up. The group has expressed concerns about contamination leaving the site and getting into nearby waterways. In 2011, the organization filed a notice saying it would sue for cleanup under the federal Clean Water Act, which allows citizen-initiated lawsuits. I mentioned the claims in a Kitsap Sun article at the time. The group never filed the federal case, pending legal action against the club by Kitsap County, which focused on land-use and noise issues. A ruling in the county’s case was recently handed down by the Washington State Court of Appeals. See Kitsap Sun story by reporter Josh Farley. Some members of CK Safe and Quiet say they are now considering a renewal of their Clean Water Act claims. Ryan Vancil, an attorney who wrote the 2011 letter (PDF 134 kb), no longer represents the group, but members are consulting with a new lawyer. 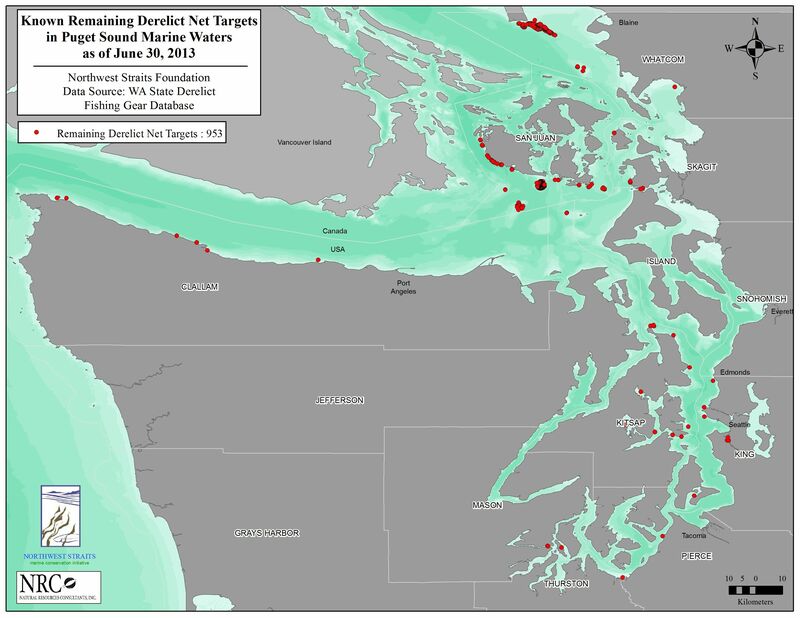 A highly informative map, just released by state shellfish officials, can show you at a glance where it is safe to harvest shellfish in Western Washington. Besides pointing out the locations of public beaches where recreational harvesters may safely gather clams and oysters, the new map provides links to information about the approved seasons and limits, with photographs of each beach. One can choose “map” or “satellite” views, as well as enhanced images to simplify the search. If you wish, you can track down locations by searching for the name of a beach, nearby landmarks or the address. You can obtain the latest information about entire shorelines as well as specific beaches. 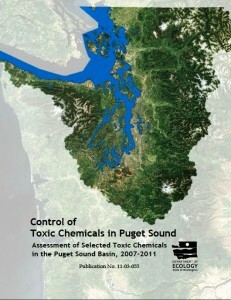 The map was created by the Office of Shellfish and Water Protection, a division within the Washington State Department of Health. Jim Zimny, recreational shellfish specialist at Kitsap Public Health District, said he expects the map to be updated immediately when new health advisories are issued. “It’s a great resource, very easy to use,” Jim said. Jim works with state shellfish officials to collect shellfish samples and report results, including findings of paralytic shellfish poison, a biotoxin. Closures are announced when high levels of PSP or dangerous bacteria are found. Hood Canal, for example, is covered with the letter “V,” meaning one should cook shellfish thoroughly to kill Vibrio bacteria, which can lead to intestinal illness. Since I generally write the geographic descriptions of shellfish closure areas, I can assure you that looking at a map will be a better way to see what is going on. For additional information about recreational shellfish harvesting, including a “Shellfish Harvest Checklist,” visit the Department of Health website. Is that a light I see shining at the end of restoration? When it comes to ecosystem restoration, I love it when we can see the light at the end of the tunnel. It’s rare when we have a chance to say that restoration is nearing completion, since we know that habitat work continues on and on, seemingly without end, in many areas of Puget Sound. So let us anticipate a celebration when Kitsap County’s regional stormwater projects are completed, when all the deadly ghost nets have been removed from the shallow waters of Puget Sound, and when there are no more creosote pilings left on state tidelands. Of course, the light at the end of the tunnel may be a mirage, but let’s not go there quite yet. Kitsap County has been collecting a Surface and Stormwater Management Fee from residents in unincorporated areas and using some of that money to leverage state and federal stormwater grants. The fee is currently $73.50, but it will rise to $78 in 2014, $82 in 2015, $86.50 in 2016, $91 in 2017 and $96 in 2018. See Kitsap Sun, Nov. 27, 2012. The good news is that the effort to retrofit old, outmoded stormwater systems is nearing completion, with remaining projects either in design or nearing the design phase. Check out the Kitsap County Public Works Capital Facilities Program for a list of completed projects with maps as well as proposed projects with maps. As the documents show, the regional retrofits are on their way to completion. So what are the sources of future stormwater problems? The answer is roads, and the problem is enormous. Still, the county has begun to address the issue with a pilot project that could become a model for other counties throughout Puget Sound. Please read my September story, “New strategies will address road runoff” (subscription) to see how the county intends to move forward. Earlier this year, the Legislature provided $3.5 million to complete the removal of derelict fishing gear that keeps on killing in waters less than 105 feet deep. The work is to be done before the end of 2015. Sites where known nets are still killing fish. Phil Anderson, director of the Washington Department of Fish and Wildlife, was excited about the prospect. Here’s what he said in a news release. The most amazing statistic I found on this topic involved the number of animals trapped by ghost nets. According to one predictive model, if all the nets had been left alone to keep fishing, they could be killing 3.2 million animals each year. For additional information, read the story I wrote for last Saturday’s Kitsap Sun (subscription) or check out the Northwest Straits webpage. Washington Department of Natural Resources hasn’t slowed down in its effort to remove old creosote pilings and docks. The structures can be toxic to marine life, obstruct navigation and snag fishing gear. By 2015, the total bill for removing such debris is expected to reach $13 million. Nobody is sure how much it will cost to remove the last of the creosote materials from state lands, but DNR officials have inventoried the various sites and expect to come up with a final priority list over the next six months. Some pilings on privately owned land may be a higher priority for the ecosystem, and officials are trying to decide how to address those sites. Of course, nobody can tackle pilings on private lands without working through the property owners. 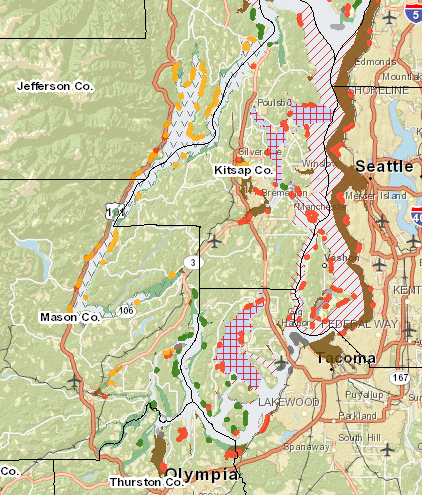 Download a spreadsheet of the work completed so far (PDF 53 kb), which involves a focus on 40 sites throughout Puget Sound. Altogether, the projects removed about 11,000 pilings plus about 250,000 square feet of “overwater structures,” such as docks. I mentioned work underway in Jefferson County in my story last week (subscription), and reporter Tristan Baurick mentioned a specific cleanup project at Nick’s Lagoon (subscription) in Kitsap County. You may also wish to check out the DNR’s page on Creosote Removal. A technique that could flag the presence of human waste in a sample of water is under development in a partnership between the Kitsap Public Health District and University of Washington’s Center for Urban Water. 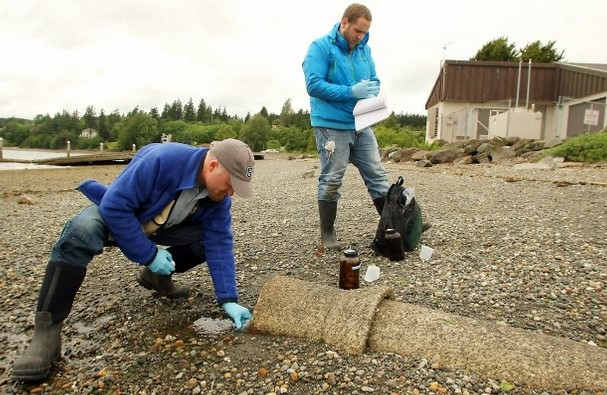 Shawn Ultican, left, a water-quality investigator with Kitsap Public Health District, and University of Washington-Tacoma undergraduate Derek Overman test the water from a drainage pipe at Silverdale Waterfront Park. Kitsap Sun photo by Meegan M. Reid. As I explained in a May 29 story in the Kitsap Sun, it could be helpful for pollution investigators to know whether bacteria are coming from human waste or from animal waste. For example, if bacterial levels are high in a stream but human waste is not present, then investigators could look for deposits of dog waste or livestock waste or else search out signs of wildlife. In that case, one could avoid testing for failing septic systems, saving a lot of time and money — not that this would occur in most investigations. The technique under review involves testing for certain chemicals associated with humans, such as caffeine, medicines, personal care products, flame retardants, pesticides and human hormones. The current research is trying to identify which of these compounds could serve as the best routine test for human waste. Five years of studies and analysis have helped refine our understanding about the toxic pollution getting into the streams of Puget Sound and eventually into the open marine waters. The final report in the series was released yesterday, prompting a story I wrote for today’s Kitsap Sun. When accounting for all the pollution, it’s not surprising to learn that the sources of toxic chemicals are so diverse that it is difficult to figure out where everything is coming from. But we do know that if chemicals are picked up in stormwater, they are likely to make their way into freshwater, where they pose short-term or long-term risks to aquatic organisms. Remove materials from the environment if they are found to release toxic pollution. This can involve a legal ban on certain products or else educating people to select less toxic alternatives. Reduce the amount of stormwater that flows into streams by infiltrating rainwater into the ground before it leaves the site. This “low-impact development” can include permeable pavement, rain gardens and even natural forests where a thick organic carpet has been retained. Clean sediment out of storm drains and sweep up the dust on city streets and other areas where toxic chemicals are likely to reside in metallic form or be bound to soil particles. Safely dispose of these materials. When the rains arrive, there won’t be much left to wash into streams. While all this sounds simple enough, the issue gets complicated when trying to decide which products to ban and when to recommend that people voluntarily stop using certain items. Alternative products may cost more, which tends to raise questions among users. Also, manufacturers and retailers are not likely to give up selling profitable products without a fight. Further complicating the situation is the scientific uncertainty surrounding the alleged harm when someone declares a product not good for the environment. Such uncertainty inevitably sparks scientific, economic and policy debate about whether the proposed action is justified. For example, the Washington Legislature approved a ban on automobile brake pads containing certain levels of copper. Brake pads are believed to release enough copper to harm salmon in some urban streams. But the metallic form of copper found in brake pads is not toxic until it is converted to an ionic form. How much gets converted in the environment is still a question. For details, see a story I wrote for the Kitsap Sun in March of 2010. As for the latest study released yesterday, some additional focused research and debate may be needed before further actions can be taken. For example, questions are raised about the total amount of toxic metals leached from roofing materials, including common asphalt shingles. Copper, cadmium, lead and zinc are listed as contaminants along with diethylhexyl phthalate (DEHP), visit site of roofing experts to learn more. As suggested by the report, direct studies of roofs in the Puget Sound region could help determine the potential harm of various roofing materials and suggest whether bans or advisories are appropriate. The amount of polycyclic aromatic hydrocarbons (PAHs) coming from creosote-treated wood was something of a surprise in the report. If anything, the findings tend to support the ongoing effort by the Department of Natural Resources, which has been removing creosote pilings from shorelines. Further studies might help to focus removal efforts in areas most sensitive to creosote compounds. Wanna guess what the video is about? Produced for the campaign “Puget Sound Starts Here,” the video — posted last night — delivers a clear message about picking up dog waste: Just DOO it! Three men who grew up together in Seattle and are now based in San Francisco produced the video, which shows a series of people walking their dogs in familiar locations around Seattle, Tacoma and Everett. The animals leave behind little surprises, which provokes singer Martin Luther (McCoy) to rush in with a plastic bag, a song and a smile. “It was really fulfilling for three Seattle guys to do something that was a lot of fun and beneficial to our hometown,” said Peter Furia, one of three producers for the company called Seedwell. The others are Beau Lewis and David Fine. All will be 30 this year. Furia said the campaign started when the three men were approached by public relations expert Bob Frause, who helped develop the “Puget Sound Starts Here” campaign. They were asked to develop a video suitable for YouTube viewers, generally a younger audience. They could choose any of the three messages being promoted by the campaign: 1) Wash your car in a carwash, where dirty water won’t wash down the storm drain; 2) Be careful with your use of lawn chemicals; or 3) Pick up after your dog when Mother Nature calls. Lewis remembered the Blackstreet song and thought it would make a great tune to spoof. With a background in music production, the three produced a high-quality sound with original instrumentation by Jeff Kite. The song sounds great through high-quality headphones. 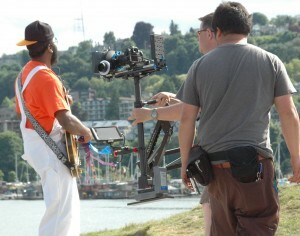 Unfortunately, they couldn’t get Luther’s dog transported to Seattle in time to perform in the video, but the other dogs DOO quite well on cue. I can’t forget to mention the dance routine, created by Paul Benshoof as an imitation of the funky dancers from the original video. Of course, the full dance number could not fit on the video, but the producers saved it to a separate video for those who want more. Outtakes can be viewed on a third video. 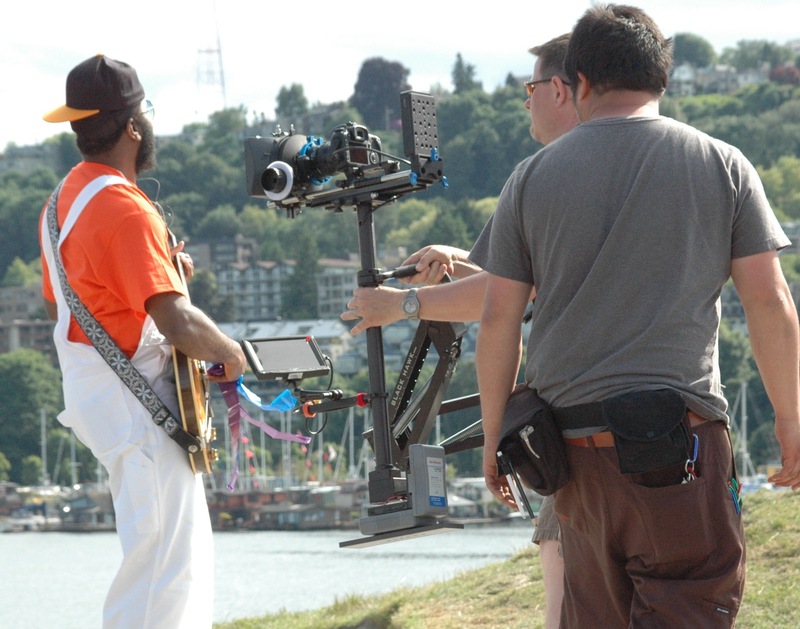 The $40,000 song and video production is part of the $500,000 “Puget Sound Starts Here” campaign, which is spanning over 18 months with numerous radio and television spots along with newspaper and online ads. Some 81 cities and counties involved in the campaign have organized into seven teams, each of which will receive a portion of the money for efforts in their local communities. In Kitsap County, bus ads will focus on pollution messages. Suzi Wong Swint of Snohomish County, a leader in the “Puget Sound Starts Here” campaign, said she expects the video will get a lot of viewers. “Everyone from all the jurisdictions really like it, “ she said. Nobody seems to know if the original members of Blackstreet have seen the video, but Furia says it is all in good fun. Since “Dog Doogity” is an obvious parody, a commentary on the original, copyright is not an issue, he said.